‘Theorem’ is a proposition in which some statements are to be proved logically. 1. 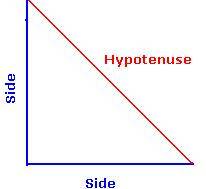 Data(Hypothesis) - Lists the facts given in the theorem. 1. Based on axioms or theorems already proved. mathematical absurdity. This forces us to arrive at a conclusion that our assumption was wrong and hence theorem must be true). However, to disprove a statement, an example which does not satisfy the given statement will be enough. 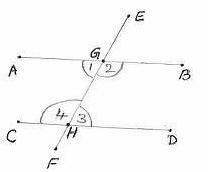 6.3 Problem 2: In the adjacent figure, AB||CD. EH and FG are the angular bisectors of FEB and EFD respectively. 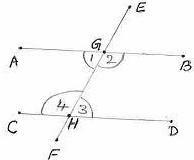 Prove that EH and FG are perpendicular to each other. Then the straight lines are parallel.